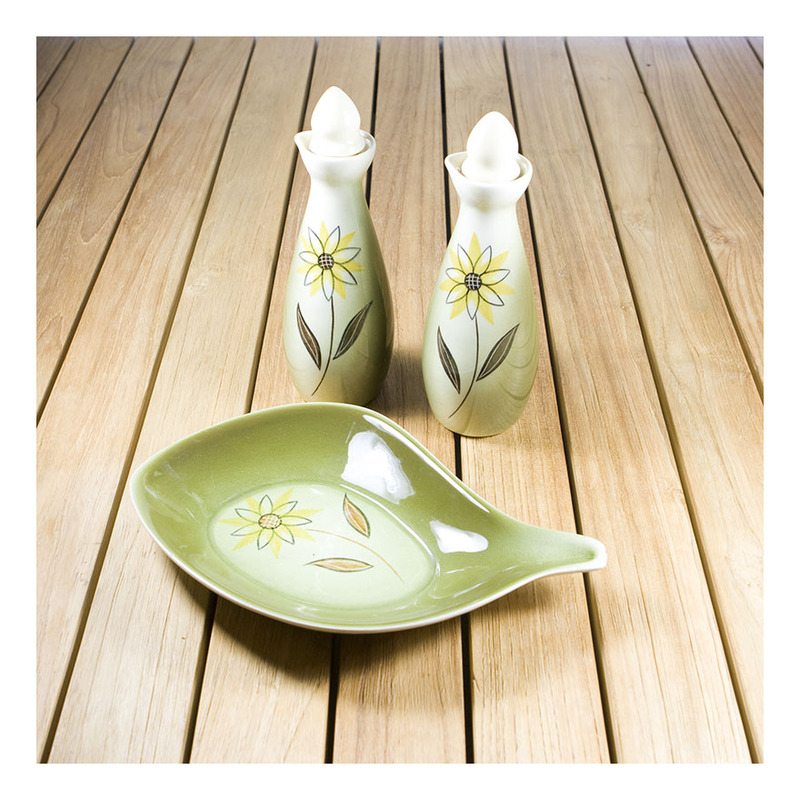 The Terra Ceramics 70s leaf platter was designed to serve three different condiments at a party. The leaf shape is quintessentially [although also abstractly] Australian. By the 70s we had figured out that Australiana stuff sold and could hold its own against UK and USA imports. So leaf-shapes- so ‘asymmetrical’ abounded. The ubiquitous daisy- symbol of the 60s- is stylised and showcased on these Terra Ceramics pieces. Terra Ceramics was proudly Australian, and they have imbued their daisies with the colours of the bush- olive greens, tans and browns. This set comprises a pair of stoppered oil/vinegar jars and a matching bowl. The bowl is asymmetrical- a stylised gum leaf shape. The pieces are stamped “Terra Ceramics Australia, Terama hand painted”. It’s now unusual to find hand painted ceramics- and if you look at the three individual pieces you can see subtle differences in the hand-painters work. I recently found a matching Daisy ramekin- but since there is but one, I didn’t include it in this photo. 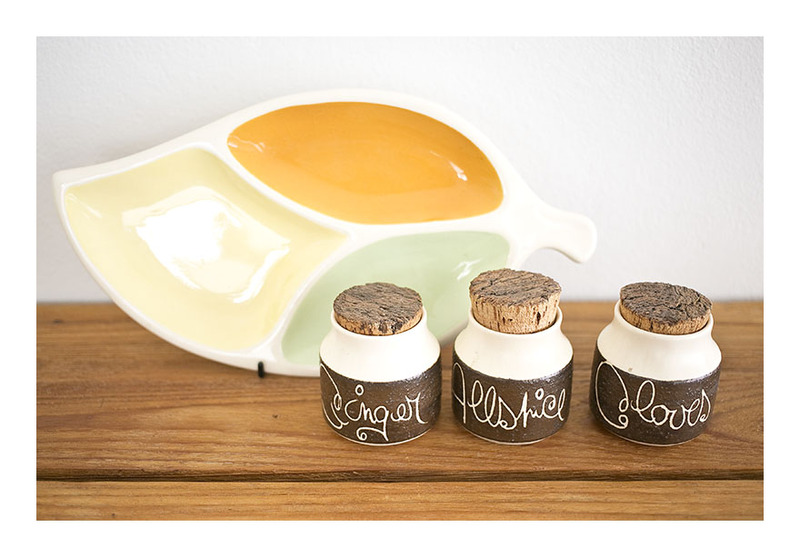 However, if you’d like this set I will throw in the ramekin [let me know]….for sale $AUD60.